Congruent Communication: Say what you mean and Mean What You Say! 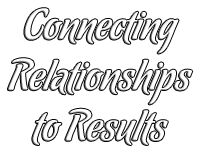 Communication is the single most influential factor determining what happens to people in relationships, careers, and life. Communication is also complicated, multifaceted and most often learned by trial and error. Learn to say what you mean and mean what you say, and confirm congruently in your conversations in this lively interactive session. Business is all about relationships. People don’t care how much you know until they know how much you care. We used to say ‘It’s not what you know but who you know” but that has changed. Now it’s not who YOU know, but who knows YOU. Take a strategic approach to building relationships and kick-start your networking in this lively interactive session. What is Leadership? How do we identify and honor our unique leadership style? Which styles work best in which situations? Explore these questions and more in this engaging introspective approach to being the leader you are meant to be. Creativity is both, an ability and an attitude. It is instrumental for innovative and effective problem solving, yet less than 5% of adults consider themselves creative. Explore challenges and strategies for capitalizing on individual and collective creativity. The mind and body are 2 sides of the same coin. Explore the powerful connection between physical, cognitive and emotional health along with strategies for improving all 3! Increase productivity and reduce absenteeism, while boosting your bottom line! Laughter really is the best medicine, and humor is a natural antidote to the stress and chaos that comes with daily life. Explore the science behind humor and health along with strategies for putting your funny bone to work. If you don’t learn to laugh at yourself, you leave the job to others! © Copyright www.GailO.com. All Rights Reserved – 2013.